We predict a riot! Maschinenkrieger KR52 vs. Disraptor have taken almost five years since their last HANDS album, and they have used that time to distil their ruthless rhythmnnoise sound to its purest essence. Riot presents 12 repetitive sound structures around the 4-minute mark, instantly reaching full steam and keeping the pressure up throughout. Arguably their most radical output yet, the sound of Riot is produced for physical appeal, and demands high volumes. 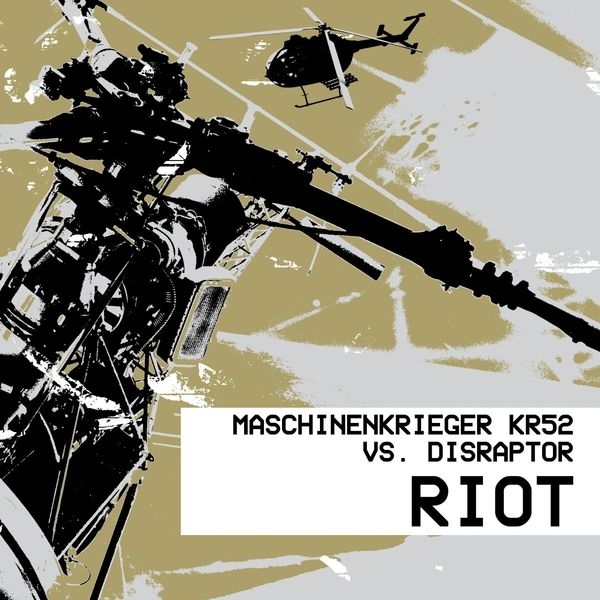 The rhythmnnoise aficionado will appreciate how Maschinenkrieger KR52 vs. Disraptor have refined their art of reduction, the result being timeless in its purity, and highly enjoyable to those with the acquired taste.